In "Election 2010: Geeks go down to defeat," I noted that the last geek to run for governor before Meg Whitman was dishy 26-year-old software engineer Georgy Russell. Reader G. O. points out that former Gateway president and COO Rick Snyder was just elected governor of Michigan. When I wrote that post, I was only thinking of geeks who ran for governor of California, but point taken just the same. 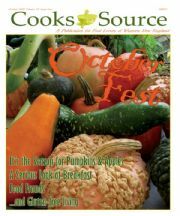 Finally, I feel compelled to add an update to my item about obscure foodie journal Cooks Source and the Internet brouhaha that erupted over its dubious definition of "public domain" ("Plagiarism 101: Cooks Source and the Internet response"). The statement on the Cooks Source home page is one of the oddest items I've ever read. My favorite line: "Please know that none of the statements made by either Cooks Source or Judith Griggs were made by either our staff or her" -- which, I suppose, may or may not include the document featuring that very same line. This wasn't the "we screwed up, we understand how we screwed up, and it won't happen again" statement Cooks Source really should posted, but it's about as close as we're likely to get. May it now fade back into well-deserved obscurity. Got any high-tech bones to pick? Scatter them below or toss me an email: cringe@infoworld.com. This article, "Google vs Facebook: Adult supervision desperately needed," was originally published at InfoWorld.com. Follow the crazy twists and turns of the tech industry with Robert X. Cringeley's Notes from the Field blog, and subscribe to Cringely's Notes from the Underground newsletter. This story, "Showdown in Crazytown, featuring Steve Ballmer, Congress, and Cooks Source" was originally published by InfoWorld.